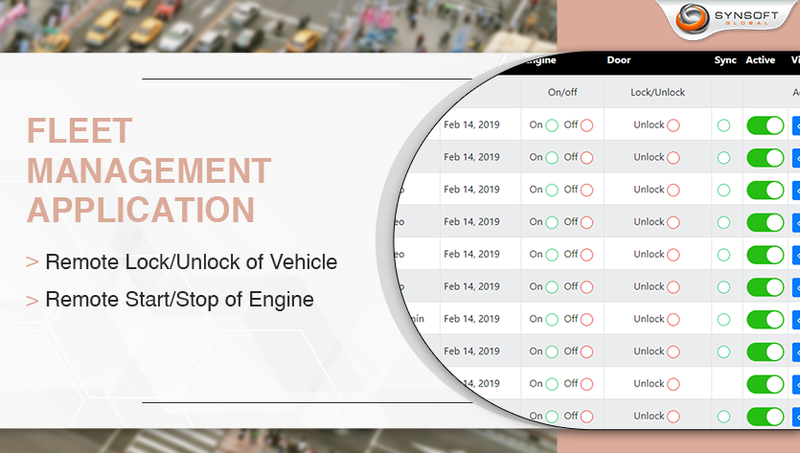 This is a Fleet Management tool that provides real-time visibility of vehicle location and status, activity reports and exception alerts. The vehicles are fitted with an IOT device with which they can be remotely locked, or unlocked, and the engine can be remotely started or stopped. The fleet automobiles are built-in with an IOT device that can be assigned an IP address and is able to transfer data over a network. This IOT device enables a remote software operated locking / unlocking feature. It has been integrated using its API so that when the driver triggers the lock/unlock facility, the web server first validates the request and then calls the device API to execute the command. There are other commands like start/stop engine. 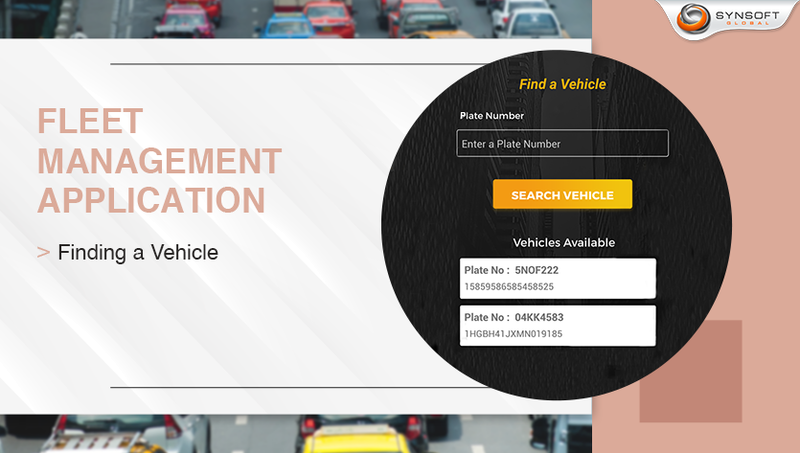 When a vehicle is added to the fleet, it is embedded with the device and is registered onto the device API along with the vehicle’s plate number. Fleet companies can subscribe to the Fleet management web application and manage their own fleet of vehicles, drivers and fleet managers. Multiple company-divisions, shifts, and vehicle-lots can be accommodated. An hierarchy of users allows division managers to operate within their own allotted Division. 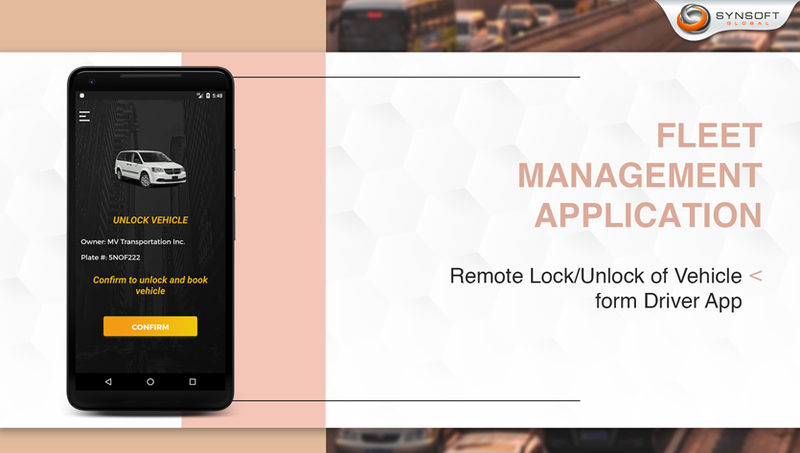 Drivers can book a vehicle from their own lot, and the app will allow them to lock, unlock, start and stop that vehicle. 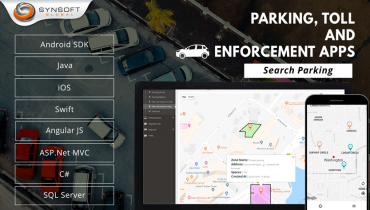 Managers can track the location and status of each vehicle in real time on the Web panel. 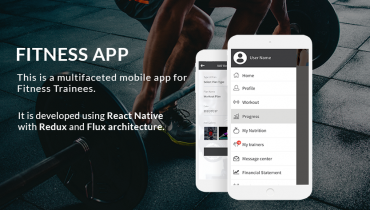 Developed using the cross-platform React Native technology, the mobile apps are rendered on both the iOS and Android platforms. 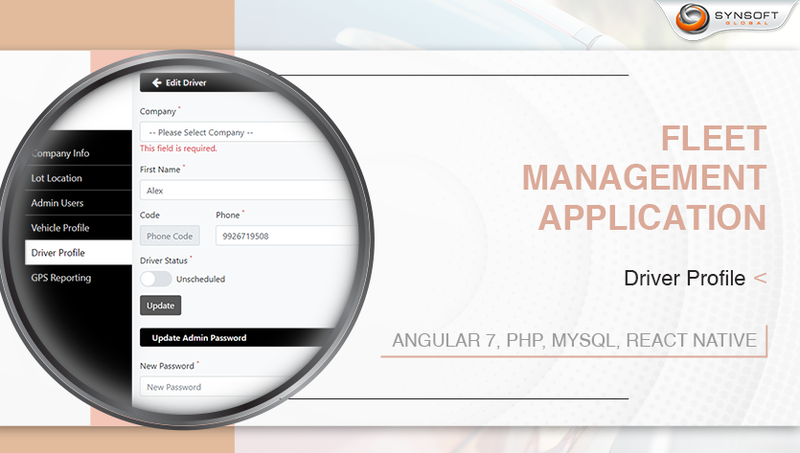 Here the Drivers register/login into a specific company. 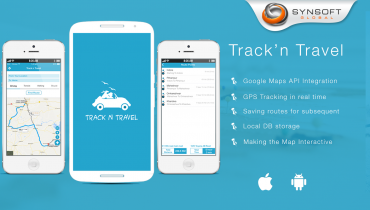 Once verified into the app, drivers can search for available vehicles and select one for booking. Once booked the driver can lock/unlock the vehicle and start/stop the engine using the app. The same can be controlled from the administrative dashboard. This helps in auto-starting the vehicle engine remotely to warm up the engine beforehand, in case of snow. 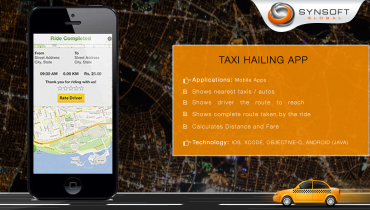 Further enhancements like vehicle diagnostics, live alerts, etc are on the cards.